So, tell me how is it that up until last week I had never tried Limoncello before?? I mean I consider myself pretty knowledgeable in the world of booze, but I just had never bought a bottle of this lemon liquid gold before! I have always been a big fan of the classic lemon drop shot. For those unfamiliar with this tasty libation, it is generally a shot of vodka mixed with lemon juice that is immediately followed by eating a lemon slice dipped in sugar. I have to admit that it has literally been years since I have partook in one of these delicious shots. But I will never forget how yummy they are. Prepare the candied lemon slices before baking the bread. I actually made mine the night before I was planning on baking the lemon drop loaf. I followed THIS RECIPE from Martha Stewart Living and they turned out beautifully. The only thing that I changed is that I added 1 tbsp of limoncello to the recipe. Preheat your oven to 350 degrees. Grease & flour a loaf pan. Set aside. In a small mixing bowl, whisk together the flour, baking powder, salt, & sugar. Set aside. In large bowl, combine the butter, eggs, 1/4 cup limoncello, yogurt, and coconut milk. Beat on medium-low speed until well mixed. Fold in the grated lemon peel. Add the flour mixture in a third at a time, beating on medium-low speed between additions. Beat until just combined. Bake at 350 for 55-60 minutes, until the edges of the loaf are golden brown and the center is set. Allow to cool in the pan for 10 minutes. Run a butter knife along the edges of the loaf and then turn out onto a wire rack to cool completely. 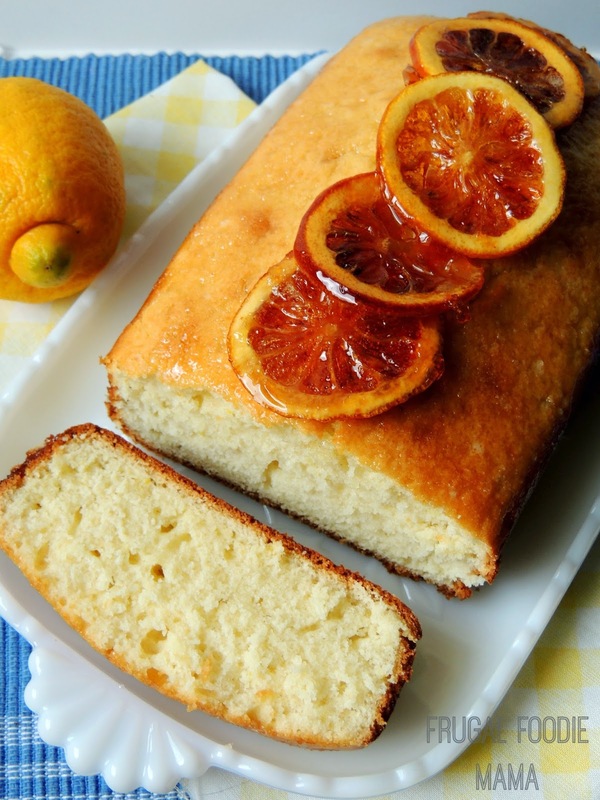 Once the loaf has cooled, prepare the sugar-lemon glaze. Combine the lemon juice and water in a small saucepan. Bring to a boil over medium-low heat. Add in the limoncello. Boil for 2-3 minutes until the bubbles turn almost white & the sugar is completely dissolved, stirring constantly. Lay a sheet of waxed paper under the wire rack the loaf is cooling on. Pour the sugar-lemon glaze over the entire top of the loaf and down the sides. 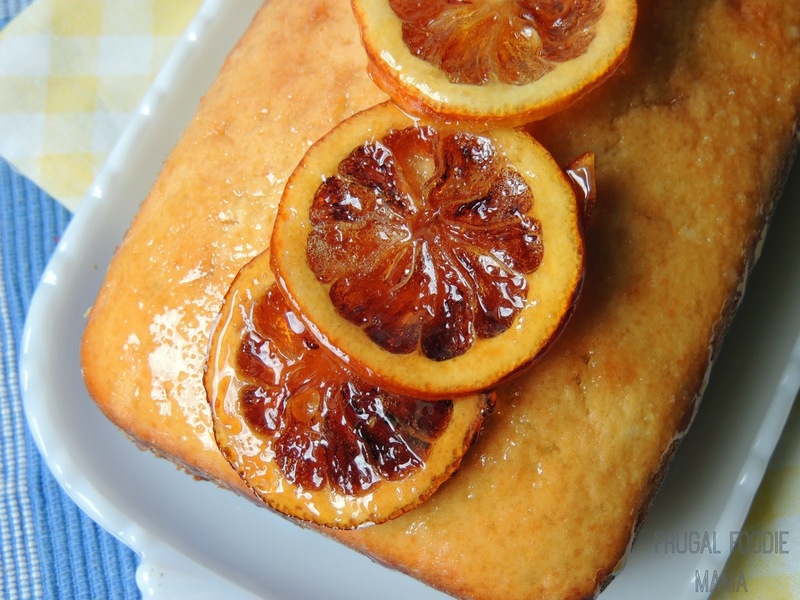 While the glaze is still tacky, arrange your candied lemon slices on top of the loaf. Let the glaze cool & set. 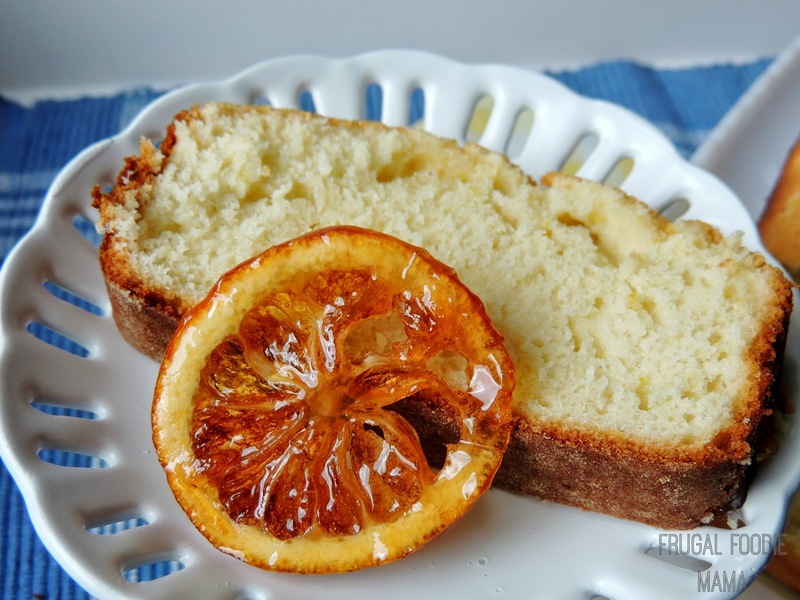 Slice the loaf & serve each slice of the loaf with a candied lemon slice. This was my first time making candied lemon slices, and I can tell you now without a doubt that it will not be my last! It was the most time consuming part of this recipe, but worth every minute. Trust me on this. I was so excited about just how moist and delicious this bread turned out! 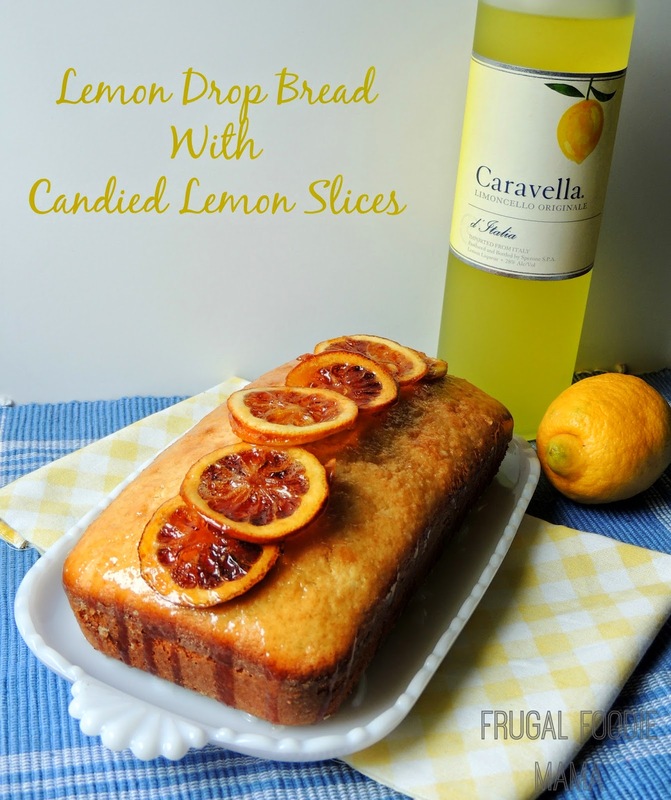 And there is limoncello in every part of this recipe- the candied lemons, the bread itself, and the glaze. Of course if you need to omit the alcohol you can, I would just add a little more grated lemon peel to the bread batter & add a little to the glaze.